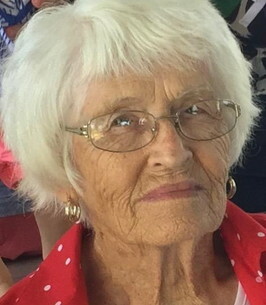 Lucille Amateis, 93, of Bridgeport, passed away Tuesday, Feb 12, 2019 at Morrill County Community Hospital in Bridgeport. Her funeral service will be held at 10am on Friday, Feb 15 at St. Paul’s Lutheran Church in Bridgeport with Reverend Allen Strawn officiating. Interment will follow at Oregon Trail Memorial Cemetery in Bridgeport. Visitation will be one hour prior to service time at the church. The family will be receiving friends and guests on Thursday, Feb 14 at Lucille’s home from 5-7pm. The family respectfully request that memorials in Lucille’s honor be made in care of the family to be designated at a later time. Online condolences may be made by viewing Lucille’s memorial page at www.bridgmanfuneralhome.com. Bridgman Funeral Home in Bridgeport is entrusted with arrangements. Lucille was born on Aug 23, 1925 in Bayard, NE to Alex and Katherine (Weitzel) Stricker. She was the seventh of eight children. She attended school at Bayard Public School and graduated in 1943. After graduation, she held numerous jobs including the Bayard 5&10, where she met Albert Amateis. They were married March 11, 1950. To this union three children were born; Michael Albert, and twins Johnny Alan and Jennifer Alyne. Lucille loved her family and did whatever was needed to contribute to their well-being including milking cows to sell cream, raising chickens to sell eggs, feeding calves and pigs and stacking small square bales of hay. Her stacks were the straightest around. In 1982, Lucille and Albert moved into Bridgeport where she cared for the Bridgeport City Parks. They never missed a baseball game, birthday party, or school event for their grandchildren. Her hobbies were her yard and flowers, crocheting and puff painting sweatshirts and attending craft fairs. She loved to cook. Some family favorites were frogs (ravioli) and butter ball soup. She always had an Oreo cookie jar full of Oreos for the family to snack from. She will be lovingly missed by her family and friends. She is survived by her children Michael Amateis and significant other Maria Roberts, John (Connie) Amateis, and Jennifer Amateis; grandchildren Chris (Heather) Amateis, Corey (Megan) Amateis, Melissa Amateis, Stephany (Joel) Haussman, John C. Amateis, Kristin (Adam) Bahl, Brandon (Chelsea) Amateis, Joshua (Ryan) Cox, Sara (Joshua) Bartella, Jill (Rusty) Jenkins, Ryan (Martha) Cox, Randy (Emily) Cox, and Tessa (Barrett) Palombo; 26 great-grandchildren; brother Leo (Wilma) Stricker; sister-in-law Rosie Stricker; and numerous nieces, nephews, cousins and extended family. Her husband Albert Amateis, parents Alex and Katherine (Weitzel) Stricker; brothers Dave (Dorothy) Stricker, Walter Stricker, Alex (Esther) Stricker; and sisters Esther (Jim) Fricke, Lydia (Fred) Bolzer, Elsie (Leo) Liakos all preceded her in death. To send flowers to the family of Lucille Amateis (Stricker), please visit our Heartfelt Sympathies Store.